This is the sequel you’ve been waiting for – Disney’s Ralph Breaks The Internet: Wreck-it Ralph 2. Join Ralph and his best friend, Vanellope von Schweetz, in their latest adventure to the World Wide Web. Watch them embark on a new journey, where they encounter some of your favorite characters. Get your tickets early. You may claim your movie tickets at the venue as early as 6.00 PM on 30 November 2018. Seats will be assigned to you by our staff. Be on time. Program will start at 7:00 PM. Reward is valid for the screening of Disney’s Ralph Breaks The Internet: Wreck-it Ralph 2 on Friday 30 November 2018 at 7 PM at Quartier CineArt only. 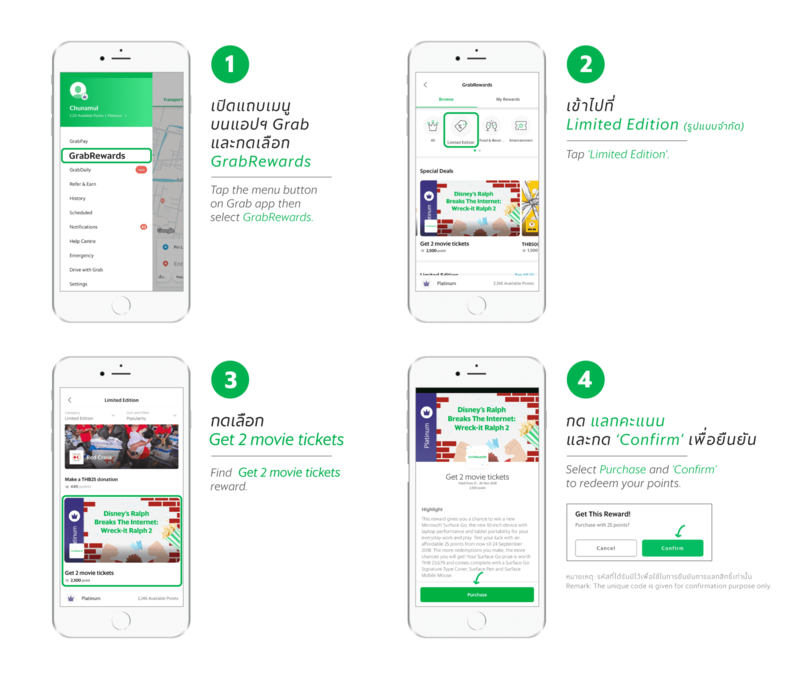 User will have to retrieve the movie tickets from the register counter on 30 November 2018 between 6 – 7.30 PM. at Quartier CineArt (3rd floor of EmQuartier).